Listening to music in The University Union has never been easier! 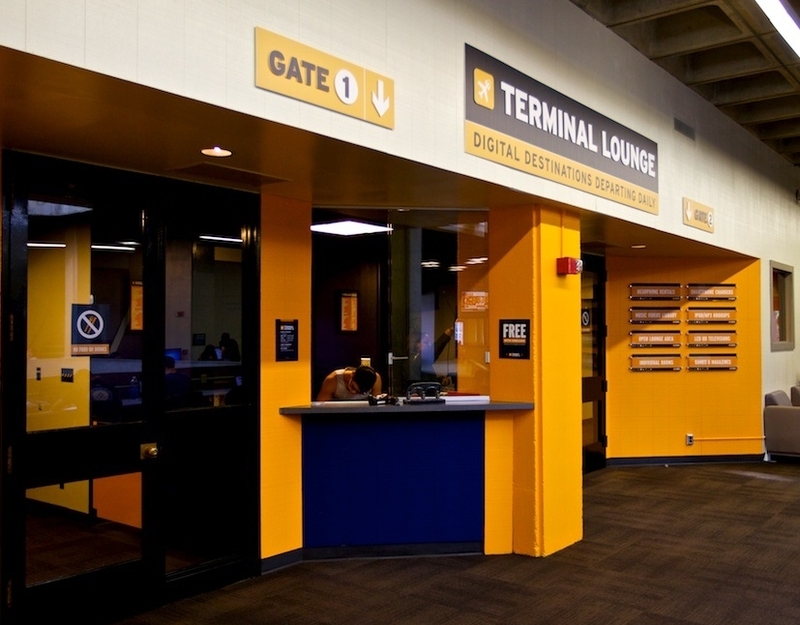 The Terminal Lounge is a friendly and relaxing atmosphere, located on the 2nd floor of The University Union. Come escape from the daily grind and spend some time chillin’ with us! Everything offered here at the Terminal Lounge is free to use with your Sac State One Card. Choose from hundreds of music artists and music videos. 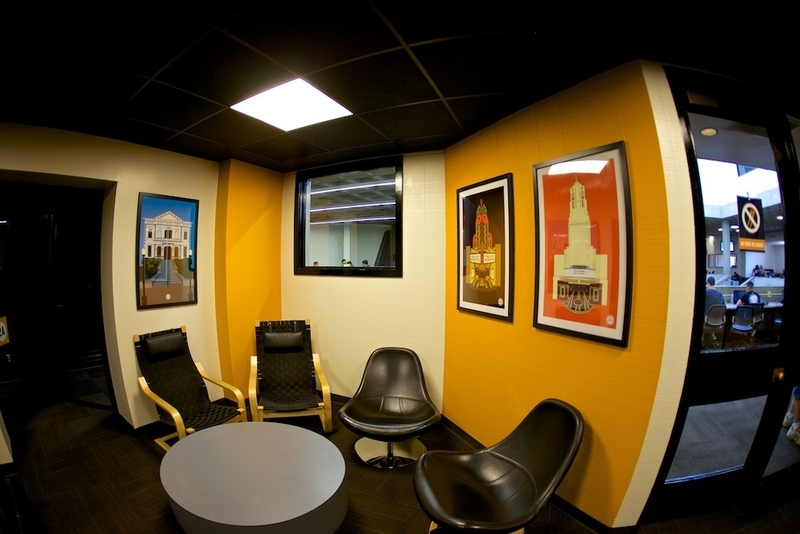 Check out board games, iphone & android phone chargers, and personal listening rooms. And feel free to use our lounge furniture and LCD HD Televisions. Just show us your Sac State OneCard. We are now offering laptop loans! 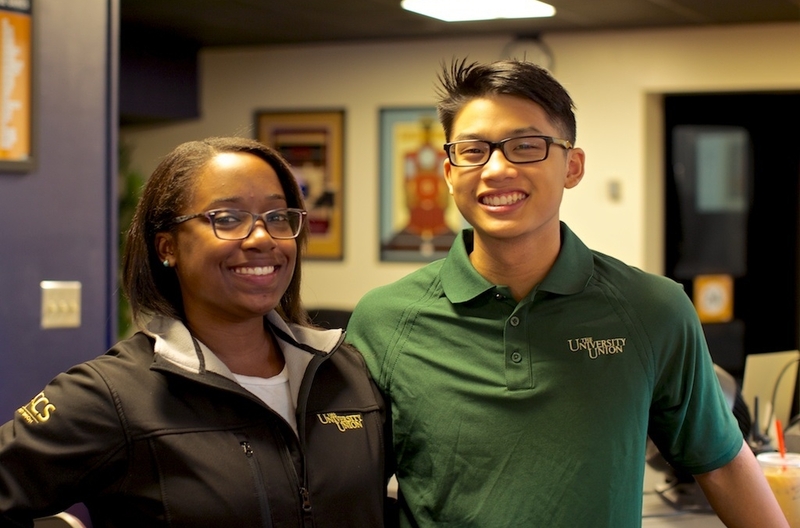 FREE to current Sac State students with your OneCard, laptops are available for use during our business hours Monday - Thursday 8am - 7:30p & Friday 8am - 3p. Choose from a selection of hundreds of music videos using Vevo or from our I-Tunes Music & Music Video Library and view them on in any one of our six (count them, six) individual listening rooms, equipped with Apple TV's and comfy bean bags. Challenge your friends, just don't start a fight, over any of our selection of board games. We have titles like Apples to Apples, Battle of the Sexes, Monopoly, Scattergories, Taboo, Yatzhee and much more. 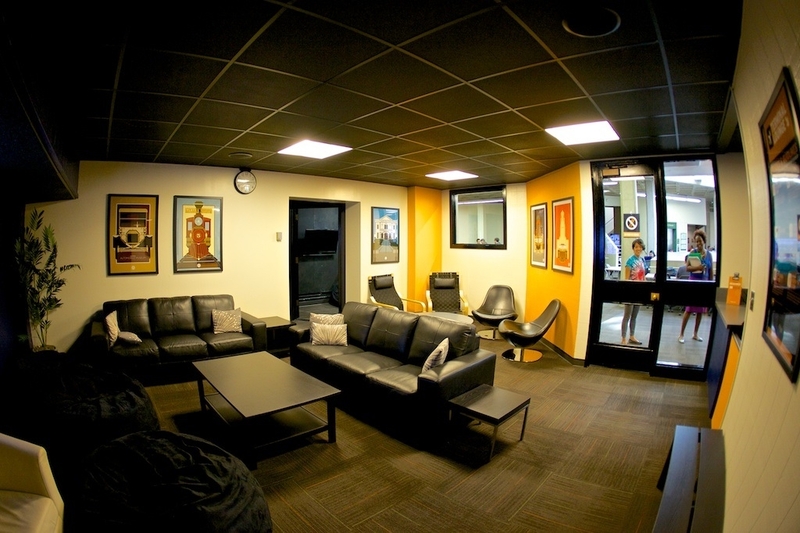 Did you know that you can hook up your own iPod or Mp3 player in any of our listening rooms and rock out to your own playlist? I know, that's pretty cool huh? Yes, you can now check out a Karaoke Machine to use in the Terminal Lounge main lounge area! Mondays - Thursdays 5p to 8p and Fridays 12p to 3p. 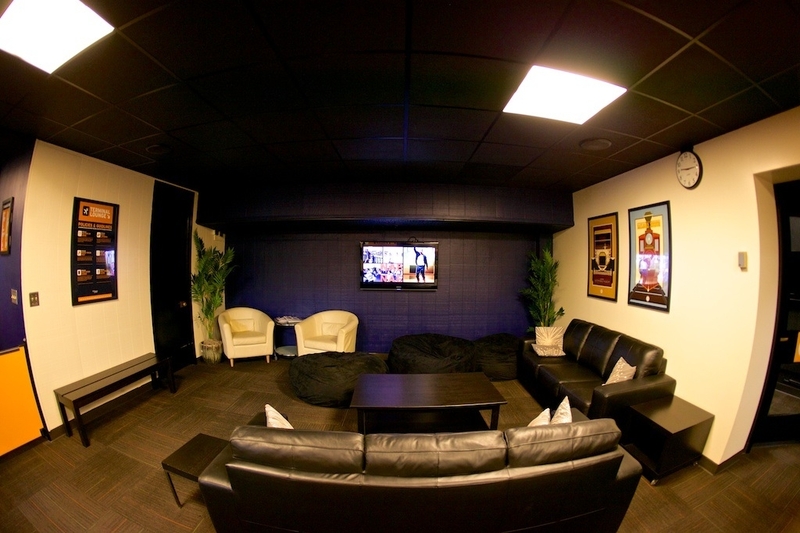 Yes, we do indeed have bean bag chairs, as well as a couple of sofas to kick back in. So come on in, unwind with us and enjoy some good music and good company. Just don't fall asleep and miss a final or anything.